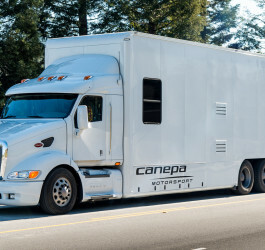 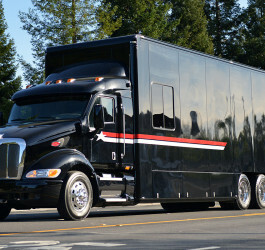 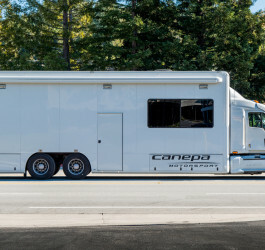 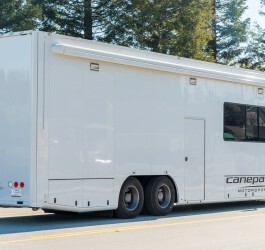 Our Concept Transporters TransCoach model line was designed by Bruce Canepa after 30 years of experience building transporters. 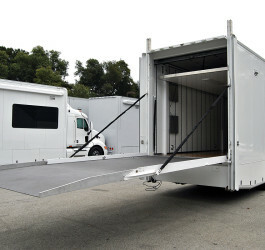 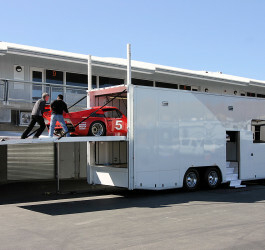 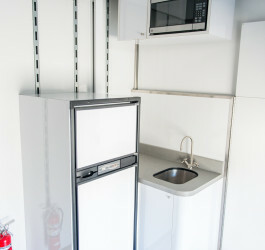 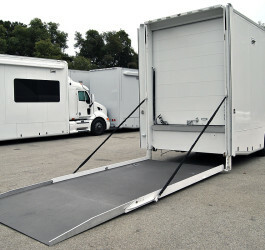 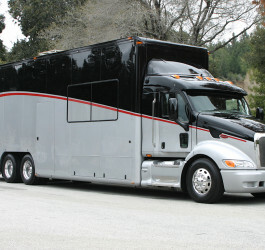 The result is a turnkey solution, which can be utilized for a weekend at the track, concourse or any event. 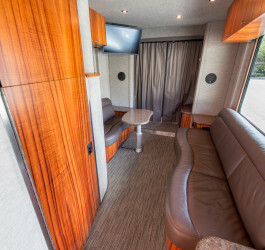 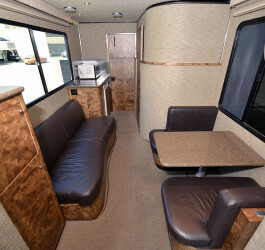 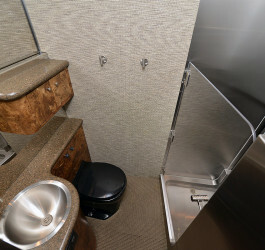 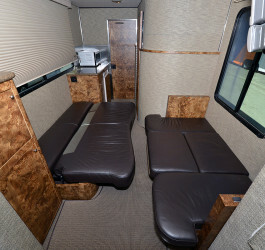 The lounge area (including bathroom facility) is designed as a multiple use space that can be utilized for meetings, entertaining or to relax and freshen up after a race. 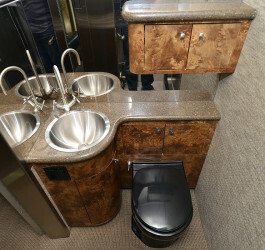 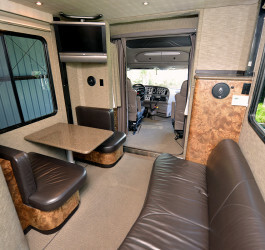 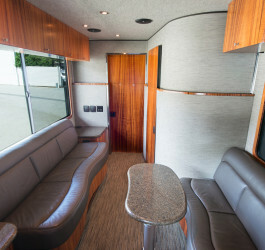 With a state-of-the-art luxury lounge, the TransCoach is a total of 45’ and allows for the transport of up to 3 vehicles. 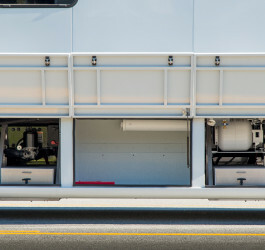 In paddock mode the upper vehicle deck is stored in its raised position. 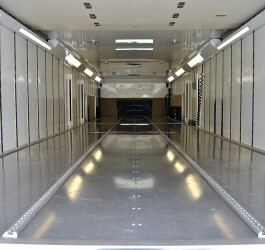 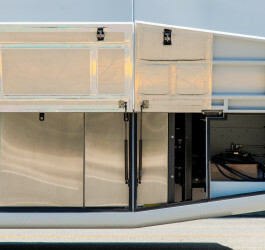 Built-in workbenches can then be deployed to create a track-side workshop or an extended hospitality area. 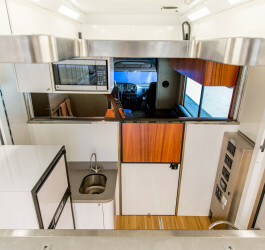 The space is lit by recessed lighting in the rivet-less underside of the upper deck. 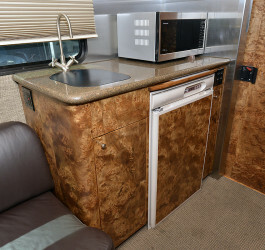 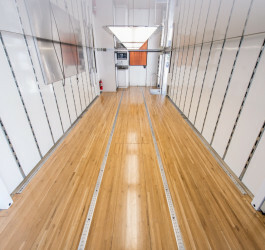 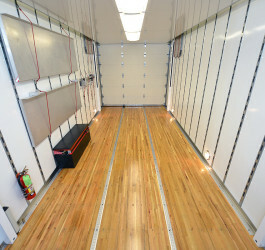 The entire lower vehicle deck can be made out your choice of materials including beautiful hardwood flooring. 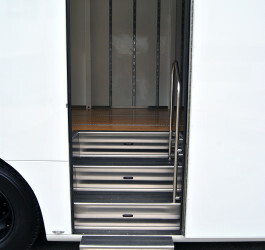 The process of loading two cars on the upper deck begins with lowering the telescoping lounge walls via remote control. 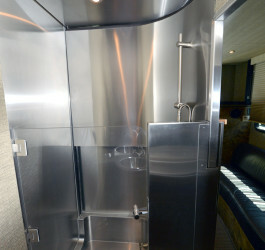 Both the forward deck and the rear deck are then lowered. 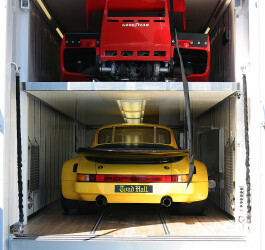 Two cars can then be rolled in and secured. 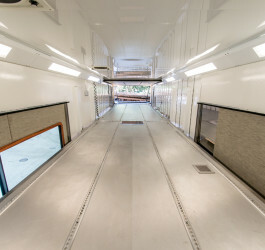 The third car is then loaded in on the lower vehicle deck below. 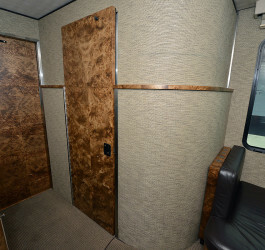 If only two cars are being transported, the lounge walls do not need to be lowered and the lounge can be enjoyed during drive mode. 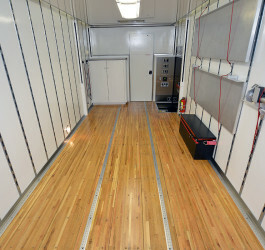 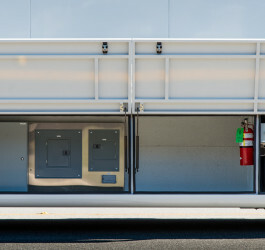 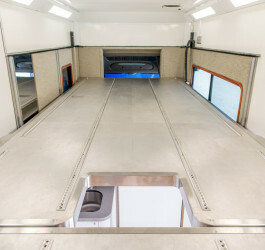 The lounge is custom tailored for each customer and fabricated with telescoping walls to accommodate the carrying of the third car on the upper vehicle deck above the lounge. 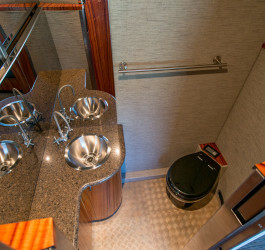 This luxury space can feature a full entertainment system, bathroom, galley, dining and sleeping areas depending on the needs of the owner. 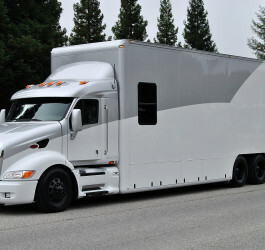 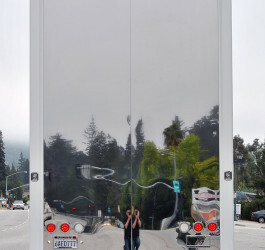 To see more information on the Concept Transporters TransCoach, click here to go to Concept’s website.